An all purpose cleaner and stripper for leather articles, this is excellent for use in preparing leather for dyeing with Angelus Leather Dyes. 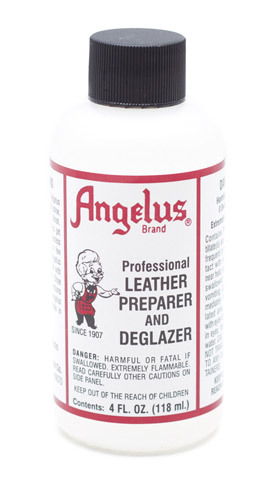 It can be use to de-glaze factory finishes from shoes, purses, holster and saddles. It will tend to strip color from leather articles only and is not recommended for use on vinyl or plastic.